Helping journalism find sustainability in the digital age. 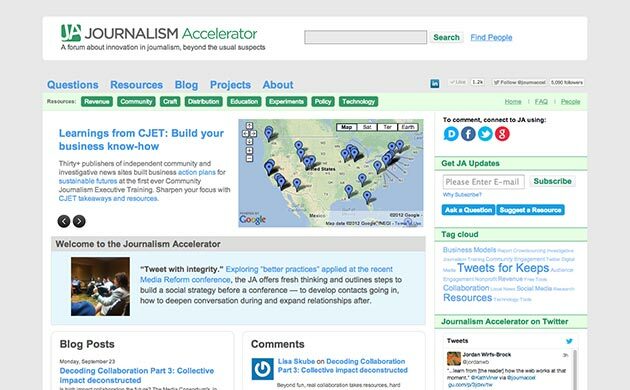 The Journalism Accelerator project was well established when I arrived to help take over the ongoing development and maintenance of the website. Under the hood this is one of the most complex WordPress based websites I’ve had the privilege of working on. I helped implement new features and functions, as well as overseeing a major overhaul to its authentication and commenting systems.